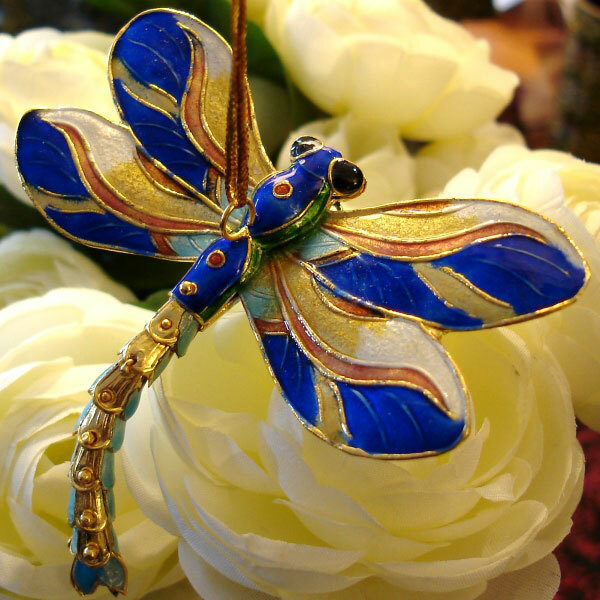 This life size Cloisonné dragonfly has an individually sectioned tail with gives it a life like stance. 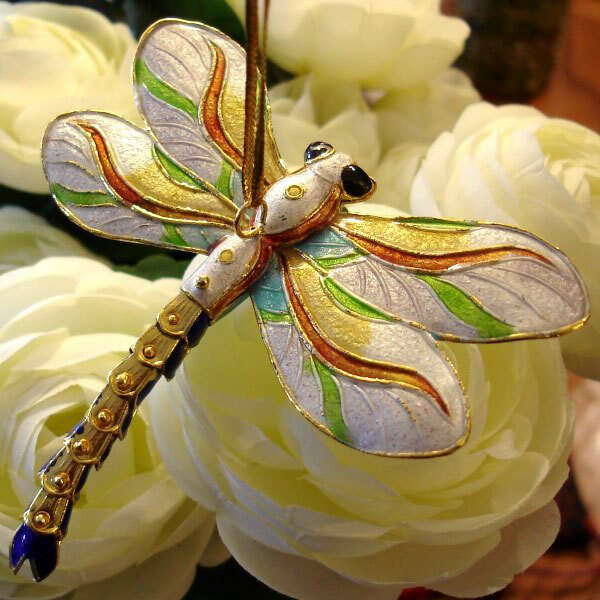 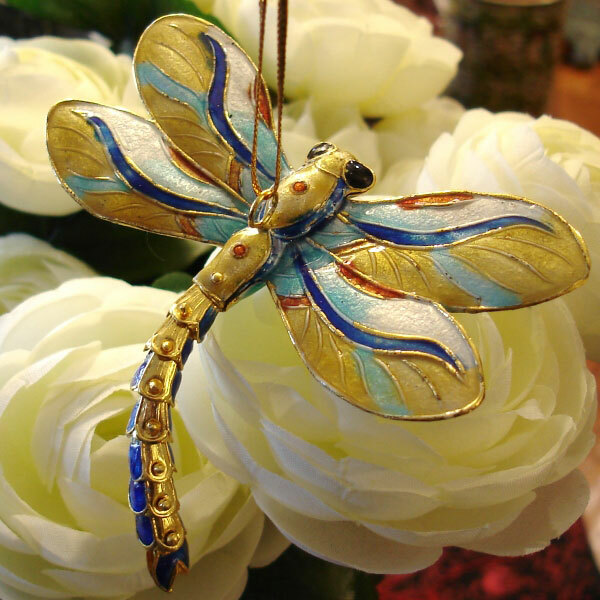 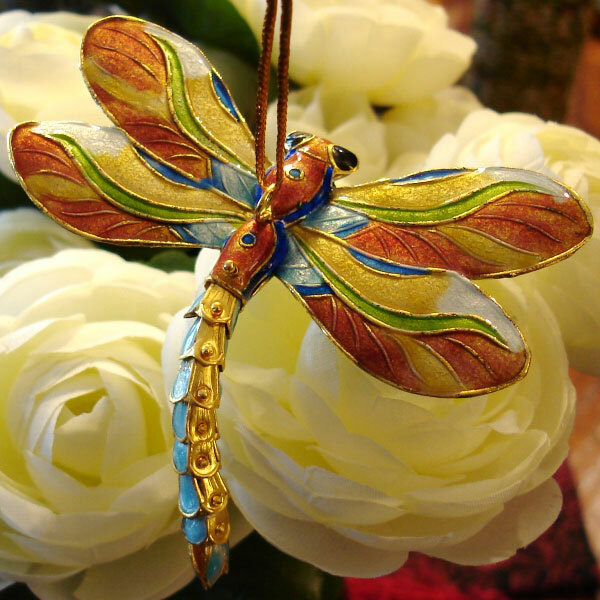 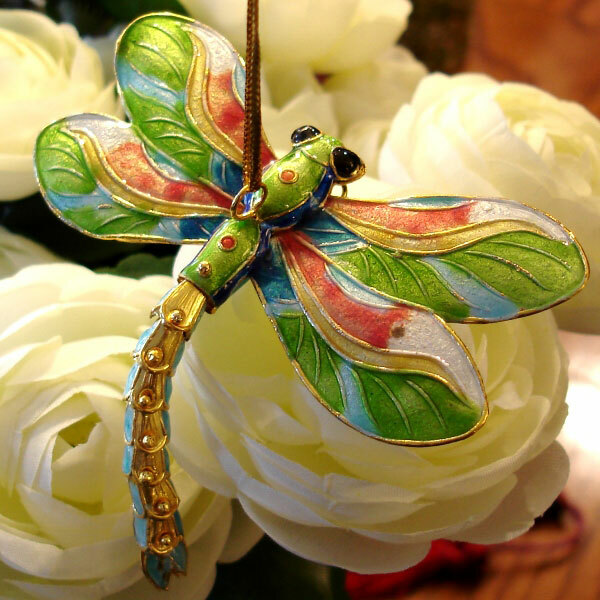 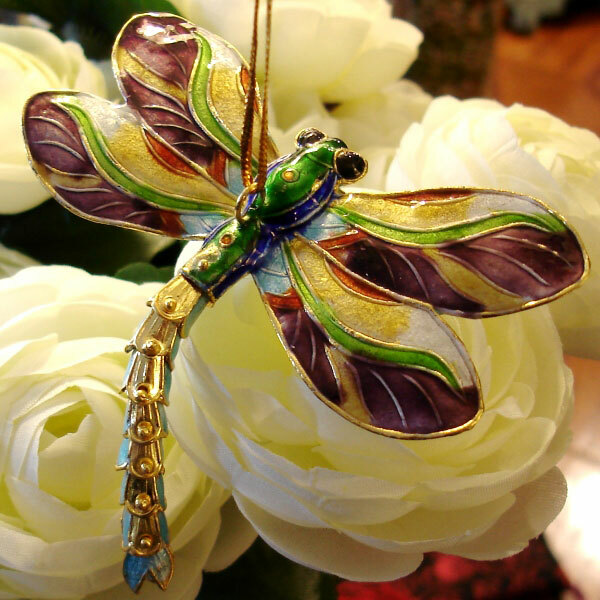 This colourful dragonfly has delicate details and will add colour to any window, flower arrangement or Christmas tree. 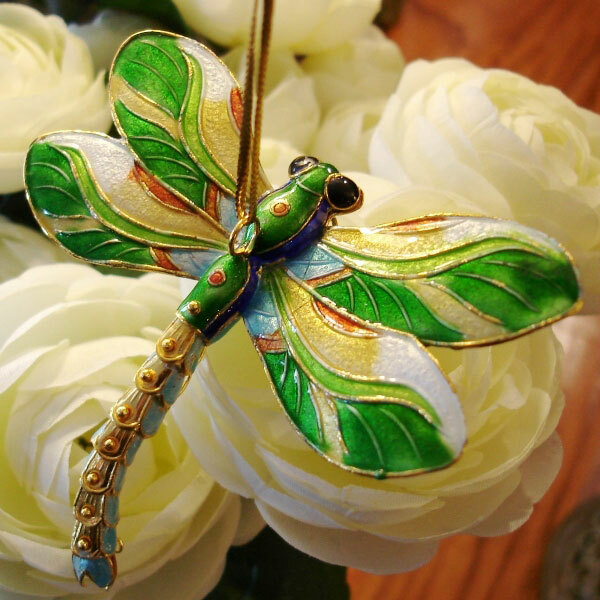 This item is hand made and painted so each is unique.